Sonofabitch. It’s those damned dreaded Peanut Butter Kisses!! (smoke comes out nostrils and ears) Do you ever want to know what a stomach ache tastes like? Eat some Peanut Butter Kisses. 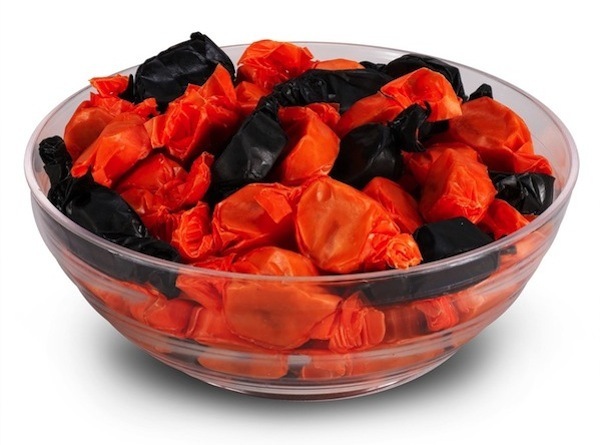 Now look, I get it – adults in the neighborhood didn’t want to spend a lot on Halloween candy, so they would opt for the ‘cheaper’ options to try and get by. And yes, I also get that the colors of the wrapping are festive for Halloween. So it should be a ‘win-win’ situation, right? Nope. But alas, there is a bit of charm associated with Peanut Butter Kisses because they DO symbolize Halloween and yes……some people even (gulp) like them. 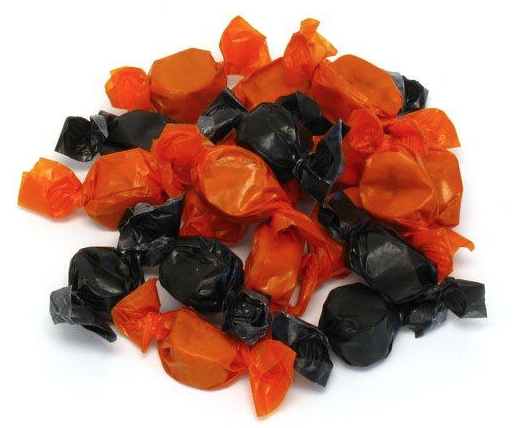 So maybe I’ve been too harsh in the past on these acquired taste (only if you have any true taste) candies, and I should embrace them for what they are: Terrible tasting peanut butter flavored taffy candy that still makes me smile because they scream ‘Halloween’. And sometimes, that’s all that matters, right? Yay, Halloween!